What is your fitness background, and how did you get into bodybuilding? I was actually a sprinter in primary school, then in high school, I played rugby and in my gap year, I played rugby for UKZN. I continued playing the sport even when I started studying at UCT. In 2013 I bumped into a pro in my federation and he inspired me to step on the bodybuilding stage. In 2014, I got up on that stage and have never looked back. 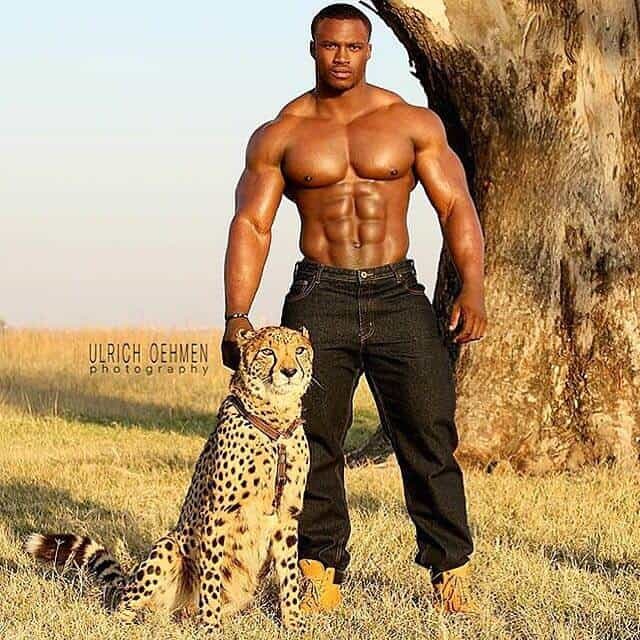 Can you please take me through your weekly training routine Sibusiso? Saturday- I repeat any workout I feel I should work on. 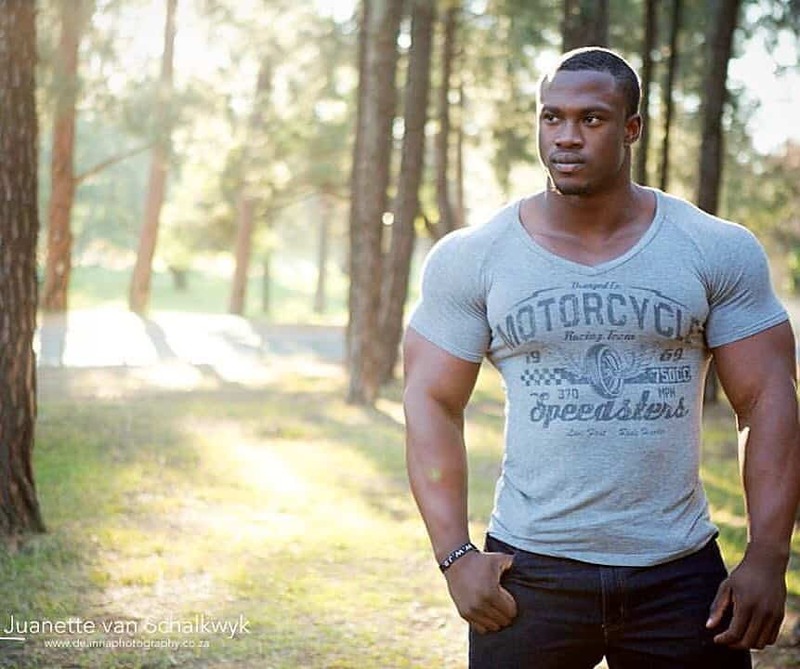 You have monster wheels Sibusiso, how does your typical leg day session look like? I usually start off with a warm-up on leg curls at 15 reps for 2 sets. Then I do 100 reps for 4 sets. The leg press is done as TUT (time under tension) I follow this up with pause box squats, and end off with walking lunges. How often do you change up your training program? My coach changes it as much as possible. But we believe if it’s not broken don’t fix it. So long as the workout is making improvements we keep doing that program. Do you ever perform cardio? I hardly ever do cardio. When I’m cutting down, rather train twice a day rather than do cardio – in the morning on an empty stomach, and go back again in the evenings. What contests have you taken part in and how did you place? 2014- IFBB KZN novice show, I placed first. The Same year I competed at provincial in KZN and placed first as a junior. I then went to nationals in Cape Town and placed fourth. 2016 – I placed first in all my comps but one, which was in Spain, an international show where I finished 8th. What did you learn from the first time you competed and what do you now wish you had known before getting on the stage? Well, to be honest, I’m content in knowing that I didn’t know as much as I do now. Getting off that stage, I made it a priority to grow my knowledge about training and nutrition. But on second thought, I wish I had known about picking the right colour of a posing trunk to complement my skin tone (chuckles). Are there any upcoming contests you are getting ready for? At the moment I’m bulking up as we call this part of prep (offseason). In a few months’ time, I’ll be getting ready for Provincials which are taking place in August. What does your off-season bulking eating plan look like? It is such a big meal plan and unfortunately, I can’t reveal my whole day’s eating plan as it’s my coach’s Intellectual Property. However, I can say that we play around with many kinds of food. From mash all the way to jelly tots and wine gums. And how is your nutrition during cutting? Here I play a lot with greens but we do something called carb cycling where we play with carbs and spike insulin levels to sort out the day’s needs. I use whey protein, branch amino acids, casein, virtago, omega 3, CLA, Glutamine, and creatine. 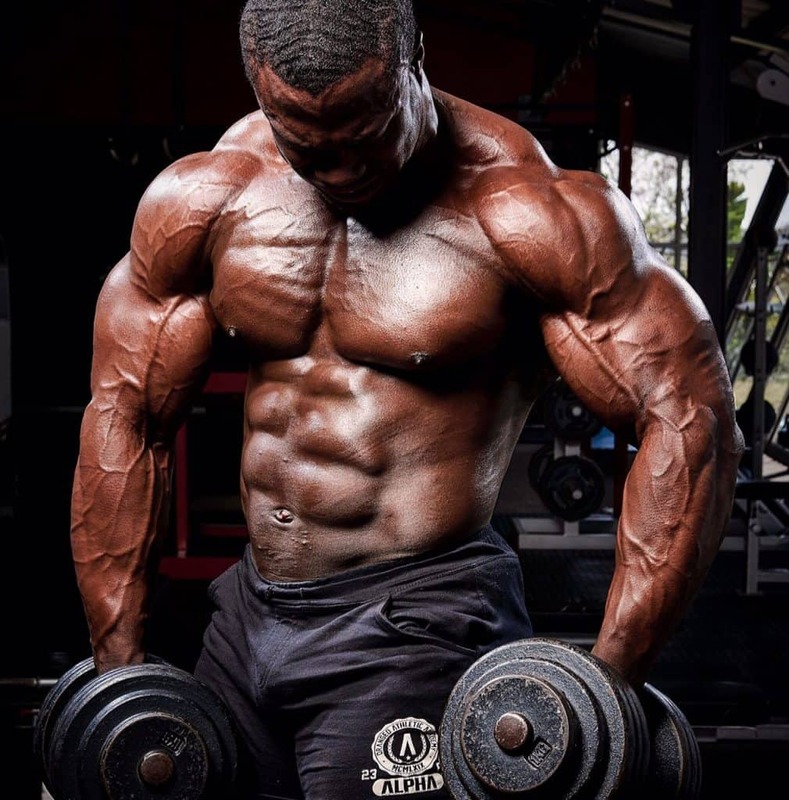 Is there anything you would like to see improved about South African bodybuilding? Of course hey. Lots. Firstly, more recognition of the sport from the ministry of sports and recreation. And secondly, making it mainstream, more commercial and visible like the likes of soccer and rugby. It’s a big dream of mine but I know it’s possible. What keeps you motivated Sibusiso? My motivation comes from my obsession with wanting to be better. To keep improving. I’m motivated by the messages I get from guys saying that they have started training because they have seen my pics. I’m motivated by knowing I’m called to do this. My advice may sound cliché – lighter weights and higher reps.
Do you have any athlete you look up to? I look up to Andrew Hudson who is the pro that got me motivated to step on stage and my coach who has been incredible in teaching me all I know today. What is your ultimate goal in bodybuilding? I would like to become a Pro and hold my own in the Pro ranks. But ultimately it’s about advocating health and fitness not as a trend, as most people make it out to be, but rather as a lifestyle that will be a lifetime commitment to oneself. What’s next for Sibusiso Kotelo? Big things. Bigger things than me. More TV appearances and radio shows. All in the spirit of advocating health and fitness lifestyle. I’m forever trying to get into shape and this is really inspiring! Holy cow that is intense, it must take insane training to get your body that built! Wow he is so dedicated and looks amazing! I find body building quite fascinating so it’s good to read what goes on behind the scenes and the work that goes in to it. Can see his hard work and dedication. He just looks so amazing. Hard work definitely does pay off and you can see it by his results! Body building is such hard work and requires such mental dedication.. good on him! Clearly hard work and dedication goes into this man’s body. I never knew there was so much detail in what types of foods are eaten during different phases, it sound a bit complicated. My goodness he must be very dedicated to have a physique like that. It takes lots of work and care with what you eat too. Wow he looks so fit it’s so nice to see people being able to keep up with their fitness. I used to be an athlete and now have auto immune issues so struggle with doing anything but walking, inspiring! That’s a pretty busy week – with a workout for each day. It must take lots of sweat and dedication!